There’s nothing like a special occasion to get your company’s creative juices flowing, and there’s still time to amp up your marketing for Valentine’s Day. With no shortage of love innuendos and double entendres to play around with, February 14 is a prime opportunity to tap into the spirit of romance and prosper. If consumer spend in 2017 and 2018 is anything to go by, marketing for Valentine’s Day is a savvy investment – particularly if you’re in the retail and hospitality space. A 2017 study by finder.com.au found that recently married Aussies were prepared to spend $253 million on Valentine’s Day. That’s around $315 per person on gifts, romantic meals and loved-up getaways. 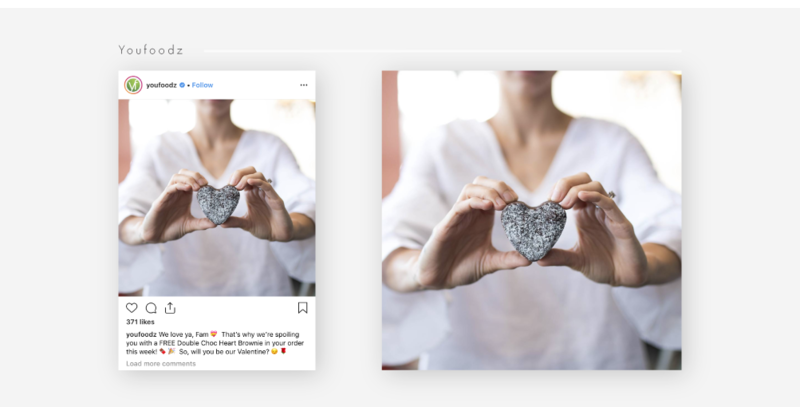 eharmony Australia took a unique approach to its User Generated Content (UGC) Valentine’s Day marketing strategy. Watch this adorable video and you’ll see what we mean. It is not overtly ‘salesy’ and doesn’t push viewers to sign up or create a profile. The clever CTA is simply to ‘tell someone you like them’. Youfoodz offered its customers a free double choc heart brownie and a rose! Romance at its finest. It’s super-inclusive and makes everyone feel special on V-Day, not just those in a couple. The ‘We love ya, Fam’ is brilliant. Too many brands focus exclusively on hetero couples, which can be alienating for anyone who doesn’t fit the mould. The special bonus treat is an added incentive for people who otherwise wouldn’t normally purchase Youfoodz to go ahead and place an order. It’s a social activation, where the company cleverly used its social media channels to get the marketing message across. 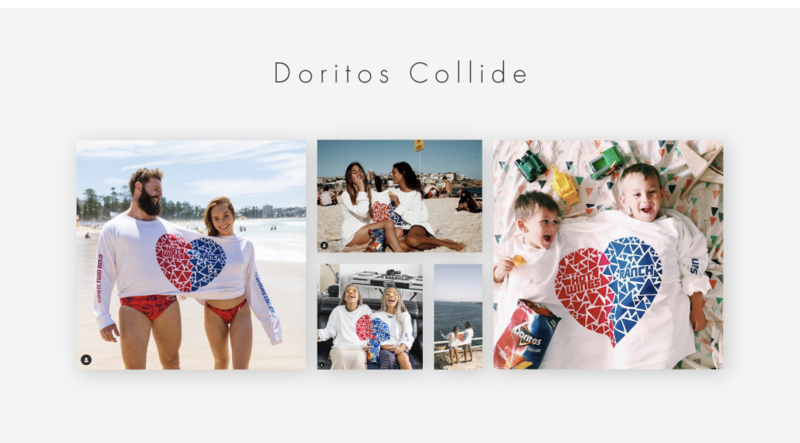 Last year, Doritos launched limited edition ‘couples jumpers’ as part of its marketing for Valentine’s Day to promote its Doritos Collide range. Influencers were engaged to promote the merch and the general public could buy the jumpers at an online pop-up store. It’s tongue in cheek and fun, playing into the inherent cheesiness of V-day in the best possible way. Only 150 jumpers were available, which in itself created a sense of urgency to ‘buy now’ before it was too late. You can just imagine young couples looking for gift ideas at the last minute snapping up these jumpers. The brand chose well-known couples with high-profile love stories to front the campaign, including Georgia Love and Lee Elliott, who famously met on The Bachelorette. The jumpers brought to life the Doritos flavour combination of hot wings and ranch, raising product and brand awareness. Like a ‘slanket’, the couple jumper blends cosy with novelty – two desirable traits in the millennial homebody economy. The perfect item to Netflix and Uber Eats in. Need inspiration for your promotional campaigns? Our strategists and creatives can help.